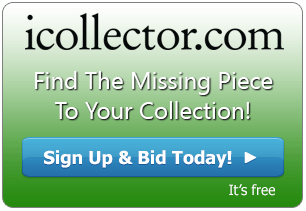 A day of collectible hunting will be open for a day of auctioneering on September 26th, 2015. Bodnarus Auctioneering have carefully put together over 350 lots of collectibles from the Curtis Wandler estate. 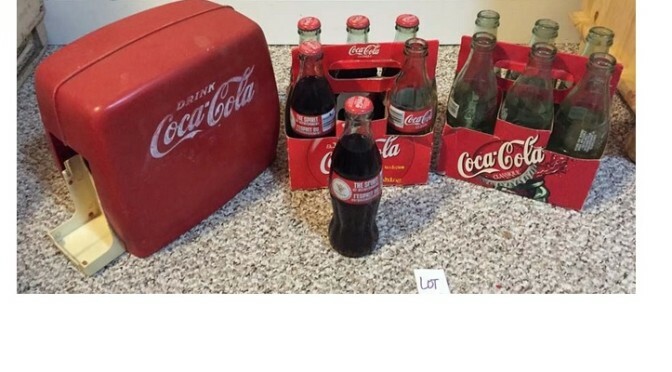 This auction includes vintage Coke and Pepsi signs, antique clocks, collectible plates and tins, advertising signs, and a host of other collectibles. There is something for everyone in this auction and it will be an enjoyable day to attend a live auction from the comfort of home, office, or anywhere with mobile bidding. Collectors of Coca Cola items need to be part of this auction. Lot 207 is a feature item with several pieces bundled together in one bidding price. This lot presents a six pack of Coke Bottles released for the 1999 Pan AM games, as well as a 2nd pack with 5 bottles in it. In addition, there is a great plastic cooler to go with it. At Lot 209 is one of Coca Cola’s vintage pictures to put up on the wall. This is a 17” by 21” picture depicting a woman in a swimsuit having a bottle of Coke. There are close to 20 Coke pieces in the auction catalog available to take bids now or bid on during the live auction. A vintage clock and lamp will sell to the highest bidder at Lot 235. The clock is a Veritas Pendulum Clock and it comes with a working Tiffany style lamp. At Lot 121 is a grouping of clocks available for one winning bid. In this one, there is a Westlox clock, a Cardinal clock in great shape, and a Quartz clock. There are several more lots in the online catalog with vintage and antique clocks available. There are a couple of interesting lots with Harley Davidson collectibles up for grabs. Lot 295 is a selection of items with the Harley Davidson brand. There is a Photomosiac Puzzle, a ceramic piece entitled “Ceramic Man on Motorcycle”, and also a nicely framed Harley Davidson photo. An interesting Harley collectible is available at Lot 299 and is a molded piece depicting a motorcycle and is molded in heavy concrete. It will look very nice as part of a shelf of collectibles. The auction broadcasts live on the internet starting at 10AM Central Time on Saturday September 26th. All lots have photos and descriptions available for viewing in the online catalog; and bidders will be able to take home as many items as they like for their collections.